Mobile technologies are already modifying well-established communication patterns, amplifying and substituting them. Participating in the mobile information society is not only a matter of getting a phone call or a phone, but how it is used in everyday life. The use of mobile phone is a question of culture since they allow new habits, postures, communication, and behaviors that contribute to society transformation. The paper focuses on a study about mobile phones’ use among young people. Particularly, we were interested in the text messages, treated as offers, sent by mobile phones. 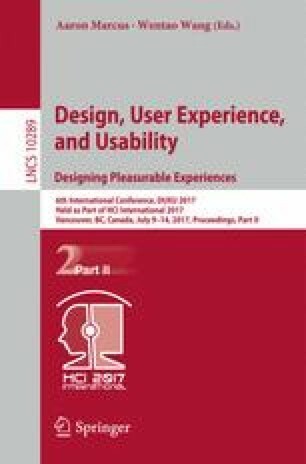 The paper concludes by presenting the design of an engagement conceptual framework, which can be a reflection point to consider within the design process of future interfaces. Conversely, this framework can also be a learning tool either for understanding the usability principles of an interactive interface or as an instrument to teach and motivate students in a knowledge exchange situation of collaborative work.